Your mattress is one of the most important things in your life that you never really think about. A good night’s sleep is important in preparing for your day. Without a good night’s sleep, you won’t be able to function at the top of your game. You may not be getting a good night’s sleep and not even realize it. If you wake stiff, sore or uncomfortable, or you don’t wake feeling recharged and ready to face the day, it may be due to the fact that you are sleeping on the wrong mattress. A Tempurpedic mattress may be the key you never knew you were missing. What Exactly is a Tempurpedic Mattress? Tempurpedic mattresses have been around for more than 20 years. They are mattresses made of the same material that was designed by NASA in the 1970s. Essentially, it is a durable, dense foam that has the ability to conform to different shapes without permanently altering its shape. These type of mattresses relieve pressure on the joints. They also help to distribute weight over the surface of the mattress, which can help improve circulation by ensuring there is no undue pressure on any one spot. There are a lot of memory foam mattresses on the market now, but not all memory foam is equal. A mattress’ density is often a key factor in the quality of the mattress. The higher-density the memory foam, the higher the quality, and lifespan, of the mattress. Tempurpedic mattresses are the highest quality you can find. And don’t be fooled – many “memory foam” mattresses are just a memory foam top on a traditional innerspring mattress. While these type of mattresses may appeal the wallet and feel good when you first lie on them, they will not give you the same benefit that a true memory foam mattress will give you. In the end, knowing which mattress is right for you comes down to which feels best for you. This can only be determined by actually trying the mattress. Whether that means coming to the show room and lying on different mattresses to see which relieves the pressure points on your body, or testing the mattress for a number of nights, no one can tell you in advance which mattress you need. 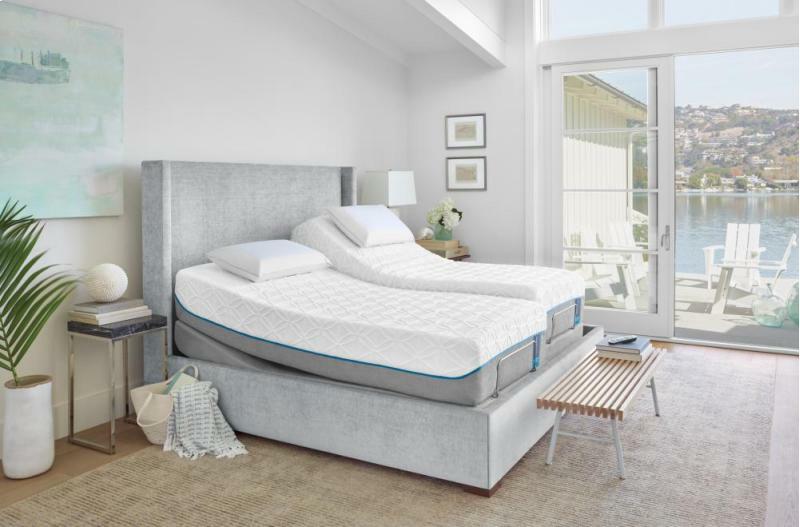 At Mattress360, not only can you come in and test the different mattresses we sell, we also offer a 90-night comfort exchange that will let you rest easy. Visit our mattress store today and let us help you pick the perfect mattress and bedding accessories for any budget.